The Beatles English rock music group formed in the late 1950s and disbanded in 1970. George Harrison, 1943-2001, guitar and sitar; and Ringo Starr (Richard Starkey), 1940-, drums. Last appearance as a group: January 30, 1969 on the rooftop of the Apple Corp. Building. 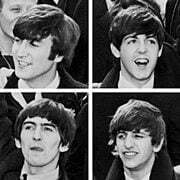 The Beatles dominated rock music in the 1960s, eventually disbanding when they felt their possibilities as a group were exhausted. 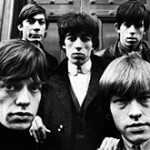 they are certainly the most prolific and long lasting group of their generation. Above are the current members of the group, others have included. The band has released over 90 Top 100 singles and more than forty one albums including compilations. He was probably the most influential song writer of the decade. One of the first rock artists to inject political and social commentary into his lyrics. 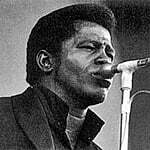 His music was closely associated with the civil rights and antiwar movements of the sixties. 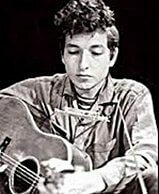 Between 1962 & 2005 he has recorded 48 albums. Last album: In Concert – Brandeis University 1963 was released in 2010. 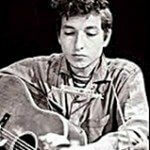 His music was heavily influenced by early exposure to folk, blues, and country music. He is credited with being the person who first exposed the Beatles to marijuana. 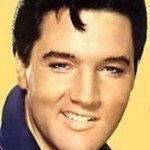 Often referred to as the “King of Rock and Roll” or simply “the King”. In 1960 he is released from the Military as a Sergeant and returns to much fanfare. he didn’t write his own songs but his performing covered many genres ie: rock and roll, pop, rockabilly, country, blues, gospel and R&B. 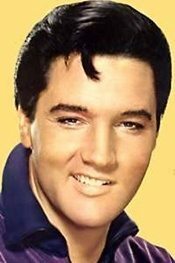 Elvis is the best selling solo artist In U.S. History. and using amplifier feedback as a type of musical accompaniment. Jimi Hendrix died of a self induced (accidental?) drug overdose, some claim he was murdered. 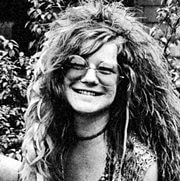 Started as a folk singer but her bluesy renditions of rock songs is her legacy. She was a symbol for rebellion against the establishment which endeared her to the whole hippie movement. The God Father of Soul, he is credited as having been the originator of the R&B and soul sounds that came out of the 1960s. His musical upbringing was strictly gospel but the biggest influence on him both as a person and a performer was Little Richard. He was incarcerated as a juvenile and later as an adult but nothing could slow the growth of this talented entertainer. 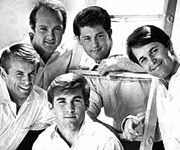 The brothers Brian, Dennis, and Carl Wilson with Mike Love and Al Jardine. Creators of lush songs described as making every American kid want to be on the beach. They were one of the most innovative bands ever, the Beach Boys invented California rock. Their first hit “Surfin” was written by Brian Wilson in highschool. Big waves, fast cars and pretty girls were the backdrop for their subsequent hits. In 1966, the Pet Sounds album and “Good Vibrations” single were heralded as probably the best and most inventive music to come out of the 1960s. The Beach Boys are regarded as the most iconic American band and one of the most critically acclaimed, commercially successful, and widely influential bands of all time. One of the first groups to not release singles preferring to develop the concept of “album-oriented rock”. Formed in England in 1968 they toured the U.S almost immediately. Called one of the originators of Heavy Metal in actuality over a third of their music was acoustic. Played unique Gibson electric guitars, specifically Page’s double necked SG. John Bonham died in 1980 of asphyxiation from vomit while sleeping. Instead of replacing Bonham the group decided to disband and pursue separate careers. Two reunion concerts have been extremely successful with the fans but hard to arrange between the surviving members. 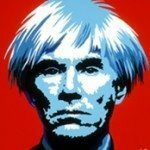 As a painter, printmaker, and filmmaker he is credited as being the most successful Pop Artist. it is then highly colorized and visually enhanced contrary to traditional works of art. Much was written about Warhol’s homosexuality although it was rumored that he was a virgin till his death. Odd and eccentric writer, famous for In Cold Blood which was written with the help of his dear friend Harper Lee who wrote To Kill a Mockingbird. which was made in to a movie in 1961 starring Audrey Hepburn and George Peppard. He was a frequent guest on talk shows and an entrenched member of the Hollywood jetsetting “in crowd” during the 1960s.